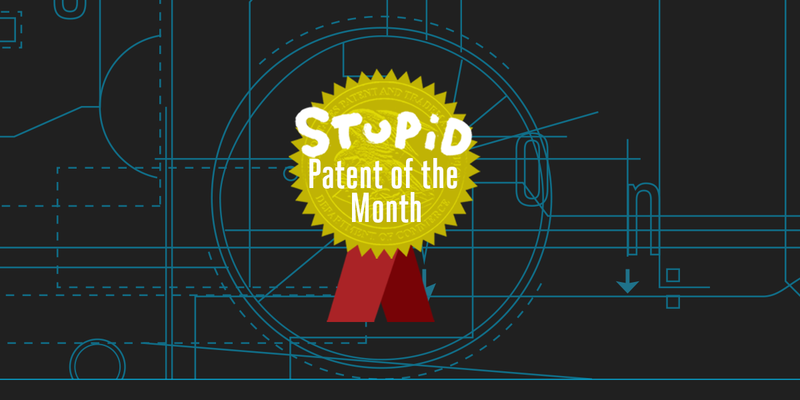 We’ve written many times about how the patent system is a poor fit for software. Innovation in the U.S. software industry happens despite, not because of, the thousands of software patents that are granted each year. But software is not the only industry where patents make very little sense. In the 1990s, the Federal Circuit opened the door to patents on methods of doing business. While the Supreme Court tried to undo some of that damage, financial institutions are still hit with patent lawsuits. Many of these suits come from trolls that don’t produce anything. And yet, just as in the tech sector, there are some financial companies that keep heading back to the U.S. Patent and Trademark Office seeking a 20-year monopoly on some tactic or another. This month, we’re highlighting U.S. Patent Number 10,147,140, which was recently granted to BNY Mellon Bank. The first claim of the ’140 patent uses a lot of financial jargon to describe an extremely simple process: checking social media for a particular event or statement, then making a trade based on that “investment triggering content.” One example of that: making a trade because someone put a hashtag in a tweet. Even if this was a new product idea or investment strategy, it is not a new invention. The trend of stock market trading has been clear now for decades: automated trading has become faster and more computerized each year. BNY Mellon Bank did not invent computerized trading, social media, or anything else remotely technical. Rather, its patent proposes the idea of trading based on a social media event. In the patent prosecution documents, the patent examiner even starts out by admitting that “the concept described in claim 1 is not meaningfully different than the economic concept… found by the courts to be an abstract idea.” Appropriately, the examiner cited Alice v. CLS Bank, which forbids “do it on a computer”-type patents. Similarly, Alice should clearly forbid patents on very old practices, like trading stocks, and simply adding in “social media monitoring. Adding generic computer processes shouldn’t have made this patent eligible. So how does it happen? One big problem is that incentives in the patent application process line up to favor the granting of patents. Patent examiners are graded through a “count” system that gives them progressively less credit as persistent applicants file new amendments, arguments, requests for continued examination, and continuation applications. This system makes it impossible for the Patent Office to ever finally reject an application. There is only one way for the Patent Office to get rid of a persistent applicant: give them a patent. In this case, the BNY Mellon’s lawyers essentially just pounded their fists on the table. They offered nothing more than the bare insistence that the patent included an “ordered combination,” and that should negate the Alice rules. “There was no showing that the combination as a whole failed to provide an inventive concept,” wrote the applicants. The examiner simply gave up and issued a patent that is plainly ineligible under Alice and many other cases. We’ve written before that the Patent Office needs to do a better job applying Alice. Unfortunately, the new Director appears to want the opposite. Other lobbyists are pushing for legislation to undo Alice entirely. If they get their way, we can expect another flood of silly patents on business methods and software.